So for anyone who knows me personally or follows me on social media will know that i've been dreaming about owning a black pug for as long as I can remember. Well on Wednesday this week my dream finally came true. 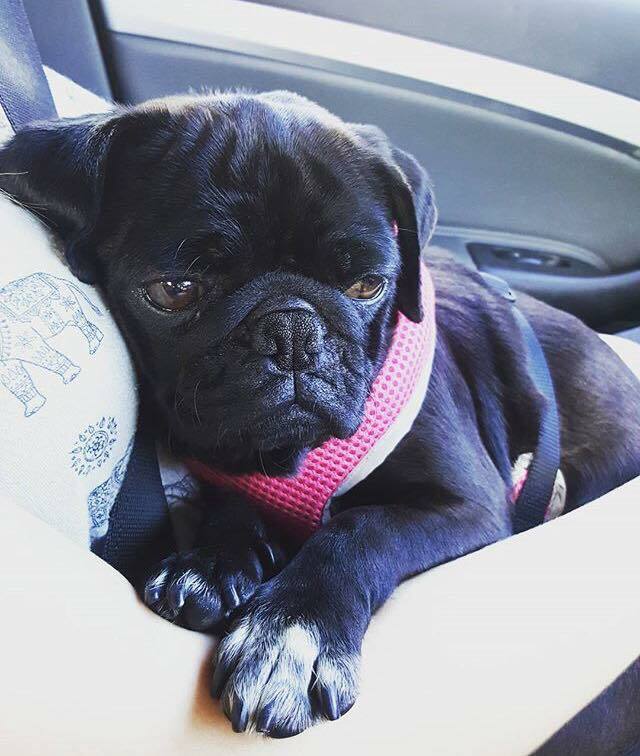 I adopted Mia a 3 year old, pure black pug. I thought I owed you all an explanation as to why I have been quiet recently and getting Mia is one of the reasons why. Another reason is that I've recently started a new job, I am training as a Beauty therapist so I can assure you all that there will be lots of 'in depth' posts in the future about various beauty treatments and reasons behind them.